A great event in my life took place when my sister packed up and moved to Rome. That she found a fabulous, if slightly eccentric, apartment in the ancient centre is a big help to NoCrowds Europe, so thank you, Alexa, very much. Certainly, Rome ranks in the upper echelon of crowded and complex cities. Tourists have probably been saying as much for centuries, and many of the monuments such as the Coliseum and the Trevi Fountain are examples of places that have been completely compromised by the numbers. And still, as with any great city, Rome has its share of wonderful NoCrowds experiences. Take, for example, the Galleria Doria Pamphilj off the Via del Corso with the main entrance on the Piazza Collegia Romano. The gallery is part of the largest palazzo still in private hands where the princely family is in residence and very much present. 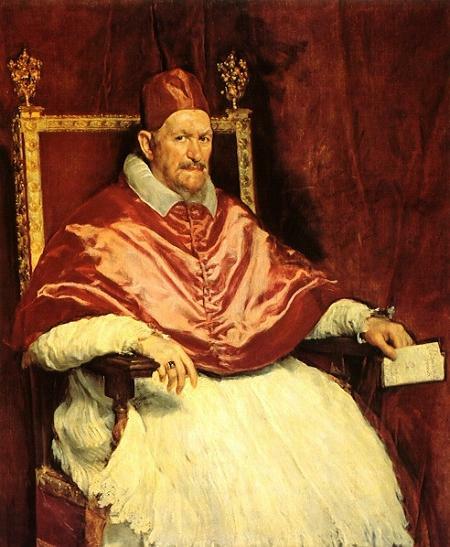 Here you have the opportunity to view masterpieces of the 17th century by such artists as Titian, Raphael, Tintoretto, Caravaggio, and Velasquez as well as sculpture by the likes of Bernini and family furniture and artifacts. Unlike more typical museums, every effort has been made to show you exactly how the family lived with and displayed this amazing and still intact collection. And if great works of art were not enough, there is even a chapel complete with the mummified corpse of the family saint which should hold the attention of even the most museum-phobic child. Included in your EUR 8 price of admission is an excellent audio guide where the voice guiding you is Prince Jonathon Doria Pamphilj who speaks the most beautiful English I have ever heard (Click here to find out why and to read about his legal battles with his adopted sister). The prince takes enormous pride in his family’s history, art collection and Palazzo, and tells a cracking tale of how this complicated family and their fortunes and artwork were assembled. After spending a couple of hours with his irresistible, velvety voice, I was reluctant to give back my audio guide. Certainly one of the big benefits of your visit is the chance to view one of the most important paintings in all of Rome, the Velasquez portrait of Pope Innocent X, a key figures in the family’s history, in a room specially designed to showcase the painting. Spending time with this portrait in relative peace and quiet is a great gift. During my entire time in the Galleria, I saw not one single tour group, no one prattling on with a raised umbrella, which is remarkable considering the fabulous artwork and the fabulous setting. Maybe it has something to do with the fact that the Galleria is not that easy to find. And as a final word of caution, do not make the mistake of heading for the Villa Doria Pamphilj which is in a different part of the city or for the Palazzo Pamphilj on the Piazza Navona which also belonged to the family. What you should head for either before or after your visit to the Galleria is the Portico D’Ottavia in the ancient Jewish quarter (about a 10 to 15 minute walk) and the restaurant Hostaria Giggetto, a favourite of Roman and tourists alike. The same family has been serving up classic Hebraic roman cuisine for 3 generations. The atmosphere is lively, family oriented and fun. Don’t miss the mouth watering and memorable Jewish specialty “carciofi alla giudia” which are whole artichokes flattened and fried. Giggetto’s is always full but also seems to have an endless series of room. On the weekends or if you want a table on the outdoor terrace, it’s important to book. A meal should set you back somewhere between 40 – 60 Euros.